Performance Composites has been in the fiberglass and composites manufacturing business for over 40 years. Our company’s excellent reputation and long-term success are the result of the win-win partnerships we have developed with our customers, vendors, employees, and community. We are an employee owned company (ESOP) and we have clear vision and mission and a strong company culture that empowers our employee/owners to do their best every day. We continually improve our capabilities, technologies and systems so we can take on new challenges from our customers and be a world class company. Performance Composites is a sustainable employee owned company providing world class composite solutions. Performance Composites’ mission is to anticipate and fulfill the needs of our customers, employees, suppliers, shareholders and community by forming synergistic relationships and focusing on learning, growth, and continuous improvement. The majority of the composite products we manufacture are used in applications for environmental protection, renewable energy and energy conservation. Composite materials have numerous benefits that are ideally suited for these applications. Performance Composites takes it a step further, using soybean-based resins for some environmentally friendly products. Performance Composites is proud to manufacture all of our products in the USA and compete with the world market. Performance Composites actively engages in the enrichment and support of our community. 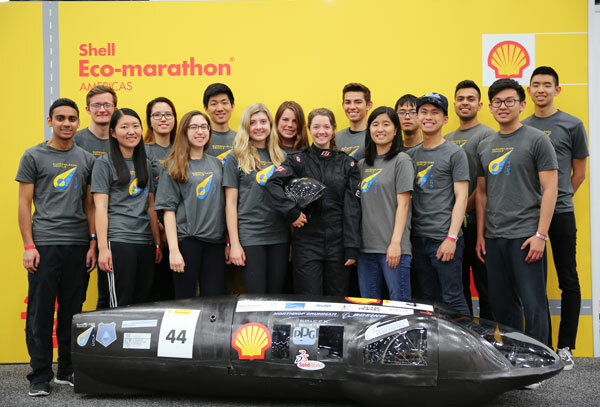 Once example is to support local Universities with their student projects such as the Formula SAE race cars, human powered vehicles and Super Mileage vehicles. We provided materials, supplies, tools, shop space, mentoring and technical guidance to help the students achieve their goals. This is a way for us to give back to the community.